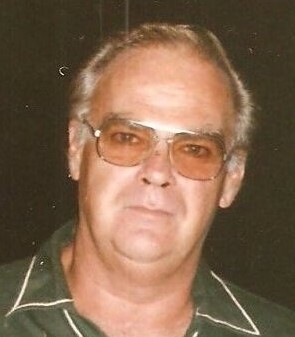 Obituary for Sherwin "Mike" Schnatterly | Goldsboro-Fabry Funeral Home, Inc.
Sherwin “Mike” Benton Schnatterly, age 82 of Uniontown passed away on February 9. 2019 in Uniontown Healthcare and Rehabilitation Center, Uniontown, Pa. He was born in Uniontown on November 3, 1936 a son of William Michael and Lodeth Ione Butler Schnatterly. In addition to his parents he was preceded in death by his twin sister, Shirley Onesi. Mike was a retired superintendent in the construction business. He proudly served his country in the United States Navy. Mike is survived by his wife of 60 years, Jeannine Carol Murphy Schnatterly; three sons: Gary Schnatterly and his wife, Julie of Harpers Ferry, WV, Richard Schnatterly and his wife Josephine of Walls, MS. Robert Schnatterly of Pittsburgh, PA; grandchildren, Aaron Walls and Ian Walls; sisters: Susan Howard of Clearbrook, VA and Jane Freet and her husband David of Harrisburg, PA; nieces and nephews. Mike’s family will receive friends from 2-4 and 6-8 p.m. on Friday, February 15, 2019 in the Goldsboro-Fabry Funeral Home, Inc., 21 E. Church Street, Fairchance, PA. Additional visitation will take place at the Abundant Life Church, 1239 Brownfield Road, Uniontown, PA from 10-11 a.m., the hour of his funeral service with Pastor Nick Cook, officiating. Interment will follow in Mt. Moriah Baptist Church Cemetery, Smithfield, PA.